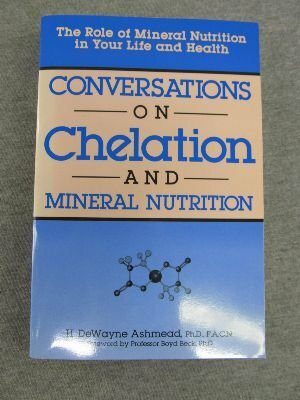 Purchased a large collection of educational books, quite a few went out to the $1.00 table & boxes. 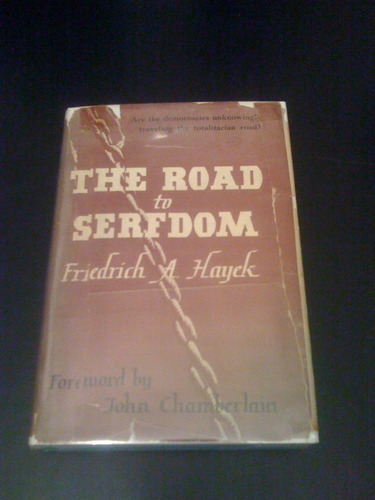 Priced, but not yet shelved, around eight boxes of books, all subjects. Born on this day: 1908 – William Saroyan, 1935 – Eldridge Cleaver. The MOUNTAIN THAT WAS "GOD". Being a Little Book About the Great Peak Which the Indians Called Tacoma but Which is Officially Named Rainier. 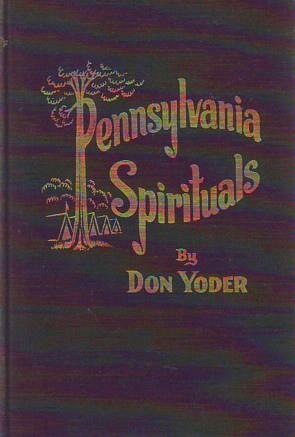 "http://www.biblio.com/search.php?author=&dealer_id=438829&title=The MOUNTAIN THAT WAS "GOD". Being a Little Book About the Great Peak Which the Indians Called Tacoma but Which is Officially Named Rainier." 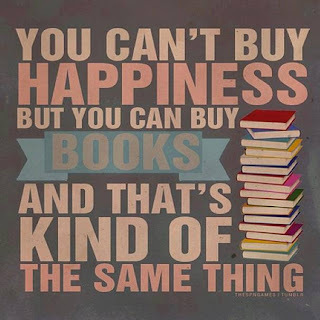 "http://stores.ebay.com/A-Castle-of-BOOKS/_i.html?_nkw=The MOUNTAIN THAT WAS "GOD". Being a Little Book About the Great Peak Which the Indians Called Tacoma but Which is Officially Named Rainier." 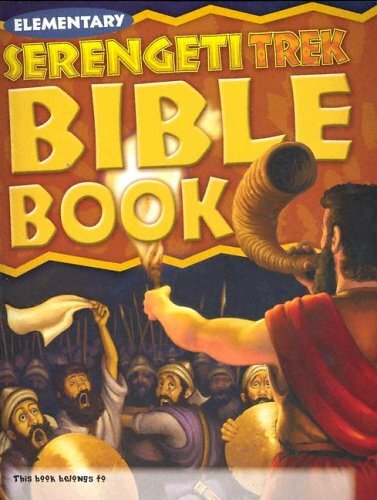 "http://www.abebooks.com/servlet/SearchResults?bi=0&bx=off&ds=30&recentlyadded=all&sortby=17&sts=t&vci=52198635&tn=The MOUNTAIN THAT WAS "GOD". 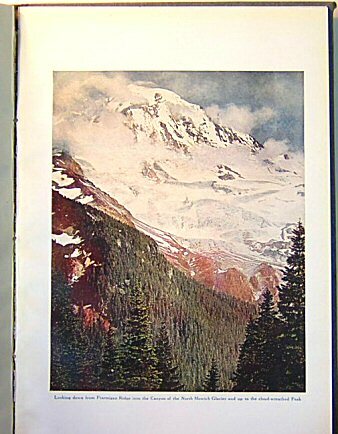 Being a Little Book About the Great Peak Which the Indians Called Tacoma but Which is Officially Named Rainier." 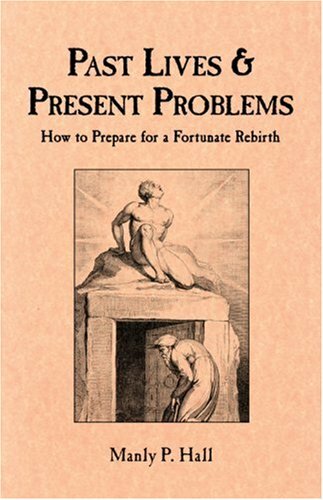 "http://www.biblio.com/search.php?author=&dealer_id=438829&title=Past Lives & Present Problems"
"http://stores.ebay.com/A-Castle-of-BOOKS/_i.html?_nkw=Past Lives & Present Problems"
"http://www.abebooks.com/servlet/SearchResults?bi=0&bx=off&ds=30&recentlyadded=all&sortby=17&sts=t&vci=52198635&tn=Past Lives & Present Problems"
"http://www.biblio.com/search.php?author=&dealer_id=438829&title=Eleuthero (Siberian ginseng): Health herb of Russia"
"http://stores.ebay.com/A-Castle-of-BOOKS/_i.html?_nkw=Eleuthero (Siberian ginseng): Health herb of Russia"
"http://www.abebooks.com/servlet/SearchResults?bi=0&bx=off&ds=30&recentlyadded=all&sortby=17&sts=t&vci=52198635&tn=Eleuthero (Siberian ginseng): Health herb of Russia"
Sorted most of the 15 box purchase from yesterday. 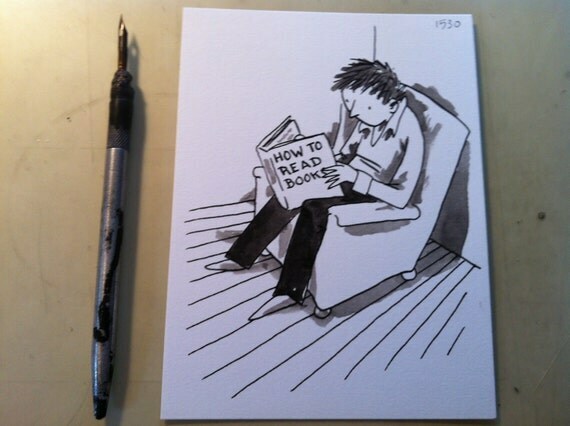 Born on this day: 1797 – Mary Shelley, 1925 – Laurent de Brunhoff, 1943 – Robert Crumb. 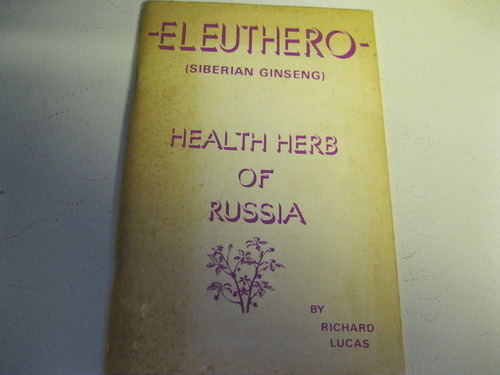 "http://www.biblio.com/search.php?author=&dealer_id=438829&title=Herculaneum to Malibu: A Companion to the Visit of the J. Paul Getty Museum Building"
"http://stores.ebay.com/A-Castle-of-BOOKS/_i.html?_nkw=Herculaneum to Malibu: A Companion to the Visit of the J. Paul Getty Museum Building"
"http://www.abebooks.com/servlet/SearchResults?bi=0&bx=off&ds=30&recentlyadded=all&sortby=17&sts=t&vci=52198635&tn=Herculaneum to Malibu: A Companion to the Visit of the J. Paul Getty Museum Building"
"http://www.biblio.com/search.php?author=&dealer_id=438829&title=*Signed* Fabulous Furry Freak Brothers Issue 6"
"http://stores.ebay.com/A-Castle-of-BOOKS/_i.html?_nkw=*Signed* Fabulous Furry Freak Brothers Issue 6"
"http://www.abebooks.com/servlet/SearchResults?bi=0&bx=off&ds=30&recentlyadded=all&sortby=17&sts=t&vci=52198635&tn=*Signed* Fabulous Furry Freak Brothers Issue 6"
"http://www.biblio.com/search.php?author=&dealer_id=438829&title=*Signed* Buffy The Vampire Slayer Comic (On Your Own Part Two, Season 9 No. 7 2012)"
"http://stores.ebay.com/A-Castle-of-BOOKS/_i.html?_nkw=*Signed* Buffy The Vampire Slayer Comic (On Your Own Part Two, Season 9 No. 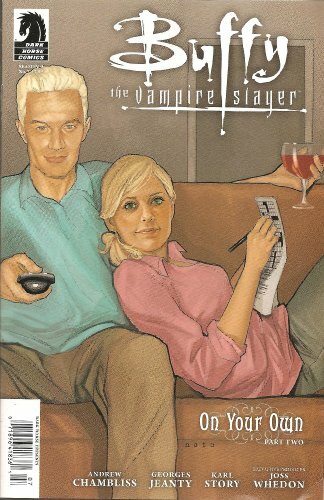 7 2012)"
"http://www.abebooks.com/servlet/SearchResults?bi=0&bx=off&ds=30&recentlyadded=all&sortby=17&sts=t&vci=52198635&tn=*Signed* Buffy The Vampire Slayer Comic (On Your Own Part Two, Season 9 No. 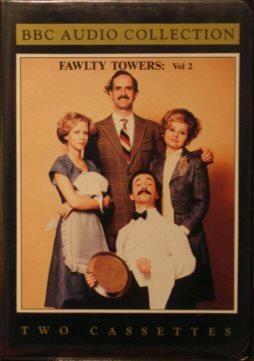 7 2012)"
"http://www.biblio.com/search.php?author=&dealer_id=438829&title=Fawlty Towers, Vol. 2: Death; Fire Drill; The Americans; Gourmet Night ( BBC Audio Collection]"
"http://stores.ebay.com/A-Castle-of-BOOKS/_i.html?_nkw=Fawlty Towers, Vol. 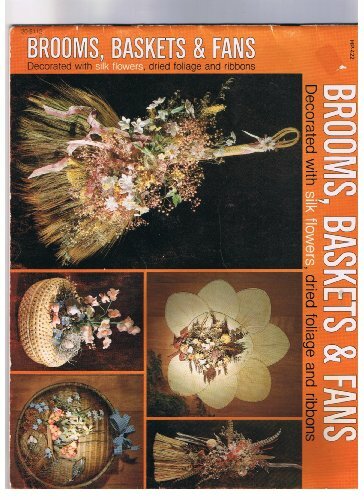 2: Death; Fire Drill; The Americans; Gourmet Night ( BBC Audio Collection]"
"http://www.abebooks.com/servlet/SearchResults?bi=0&bx=off&ds=30&recentlyadded=all&sortby=17&sts=t&vci=52198635&tn=Fawlty Towers, Vol. 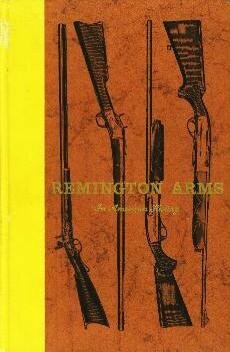 2: Death; Fire Drill; The Americans; Gourmet Night ( BBC Audio Collection]"
"http://www.biblio.com/search.php?author=&dealer_id=438829&title=Deathsentences of the Polished and Structurally Weak"
"http://stores.ebay.com/A-Castle-of-BOOKS/_i.html?_nkw=Deathsentences of the Polished and Structurally Weak"
"http://www.abebooks.com/servlet/SearchResults?bi=0&bx=off&ds=30&recentlyadded=all&sortby=17&sts=t&vci=52198635&tn=Deathsentences of the Polished and Structurally Weak"
Fixed up some eBay listings. Shelved around a box of mostly non-fiction hardcover. 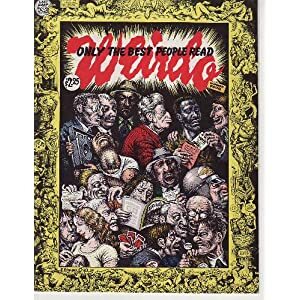 Born on this day: 1913 – Robertson Davies, 1814 – Sheridan Le Fanu, 1916 – Jack Vance, 1917 – Jack Kirby, 1948 – Vonda McIntyre. Purchased some DVDs, already shelved. 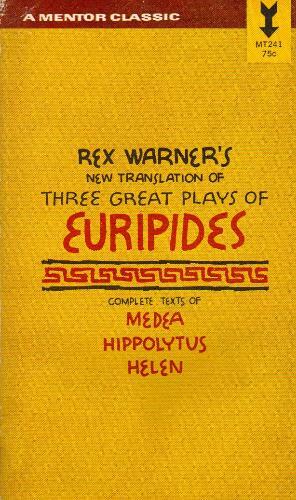 "http://www.biblio.com/search.php?author=&dealer_id=438829&title=Rex Warner's New Translation of Three Great Plays of Euripides"
"http://stores.ebay.com/A-Castle-of-BOOKS/_i.html?_nkw=Rex Warner's New Translation of Three Great Plays of Euripides"
"http://www.abebooks.com/servlet/SearchResults?bi=0&bx=off&ds=30&recentlyadded=all&sortby=17&sts=t&vci=52198635&tn=Rex Warner's New Translation of Three Great Plays of Euripides"
"http://www.biblio.com/search.php?author=&dealer_id=438829&title=Don Winslow of the Navy"
"http://stores.ebay.com/A-Castle-of-BOOKS/_i.html?_nkw=Don Winslow of the Navy"
"http://www.abebooks.com/servlet/SearchResults?bi=0&bx=off&ds=30&recentlyadded=all&sortby=17&sts=t&vci=52198635&tn=Don Winslow of the Navy"
Finished marking down the comic magazines, there are now hundreds for 50 cents. Born on this day: 1871 – Theodore Dreiser, 1899 – C. S. Forester, 1904 – Norah Lofts, 1929 – Ira Levin. 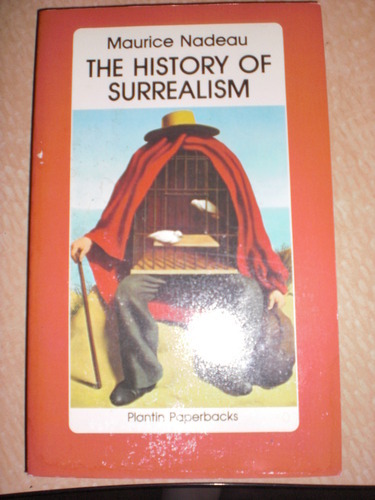 "http://www.biblio.com/search.php?author=&dealer_id=438829&title=National Geographic: Bali: Masterpiece of the Gods (1991) [VHS]"
"http://stores.ebay.com/A-Castle-of-BOOKS/_i.html?_nkw=National Geographic: Bali: Masterpiece of the Gods (1991) [VHS]"
"http://www.abebooks.com/servlet/SearchResults?bi=0&bx=off&ds=30&recentlyadded=all&sortby=17&sts=t&vci=52198635&tn=National Geographic: Bali: Masterpiece of the Gods (1991) [VHS]"
Special orders are available, just stop by in person to get a quote. We do appraisals for $10 per item, for which you will get an official printed appraisal of the current retail value of your item. 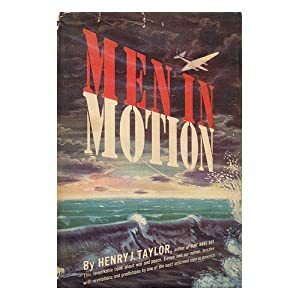 Shelved around a box of vintage and other non-fiction hardcover, and some pocket book classics. 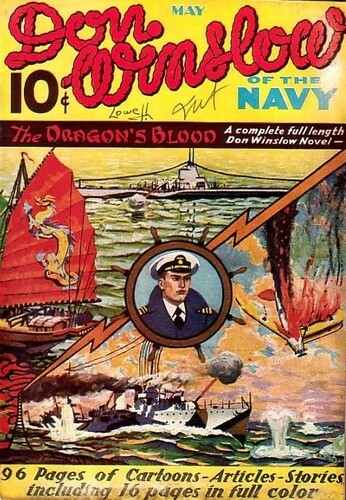 Born on this day: 1904 – Christopher Isherwood, 1911 – Otto Binder. 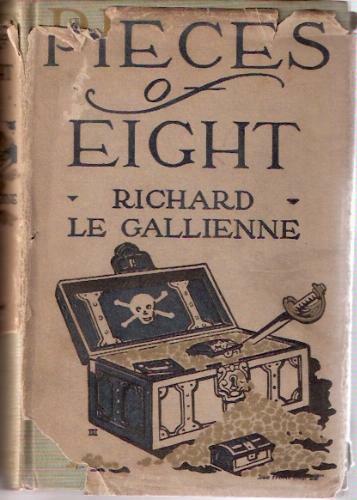 "http://www.biblio.com/search.php?author=&dealer_id=438829&title=Pieces of Eight: Being the authentic narrative of a treasure discovered in the Bahama Islands, in the year 1903--now first given to the public by Richard Le Gallienne;"
"http://stores.ebay.com/A-Castle-of-BOOKS/_i.html?_nkw=Pieces of Eight: Being the authentic narrative of a treasure discovered in the Bahama Islands, in the year 1903--now first given to the public by Richard Le Gallienne;"
"http://www.abebooks.com/servlet/SearchResults?bi=0&bx=off&ds=30&recentlyadded=all&sortby=17&sts=t&vci=52198635&tn=Pieces of Eight: Being the authentic narrative of a treasure discovered in the Bahama Islands, in the year 1903--now first given to the public by Richard Le Gallienne;"
"http://www.biblio.com/search.php?author=&dealer_id=438829&title=Conversations on Chelation and Mineral Nutrition"
"http://stores.ebay.com/A-Castle-of-BOOKS/_i.html?_nkw=Conversations on Chelation and Mineral Nutrition"
"http://www.abebooks.com/servlet/SearchResults?bi=0&bx=off&ds=30&recentlyadded=all&sortby=17&sts=t&vci=52198635&tn=Conversations on Chelation and Mineral Nutrition"
Born on this day: 1921 – Brian Moore, 1949 – Martin Amis, 1938 – Frederick Forsyth, 1959 – Lane Smith, 1836 – Bret Harte, 1947 – Michael Kaluta. 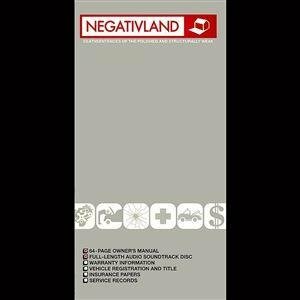 "http://www.biblio.com/search.php?author=&dealer_id=438829&title=Michael Wm. 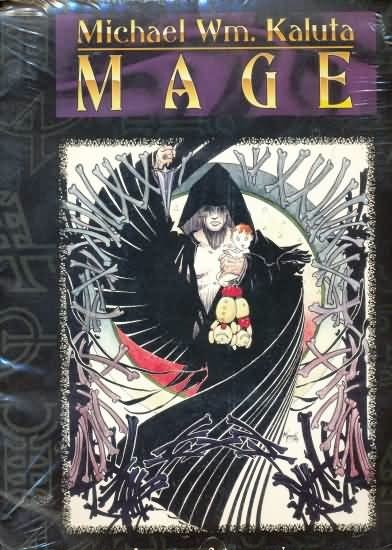 Kaluta Mage Portfolio: Images of Ascension"
"http://stores.ebay.com/A-Castle-of-BOOKS/_i.html?_nkw=Michael Wm. Kaluta Mage Portfolio: Images of Ascension"
"http://www.abebooks.com/servlet/SearchResults?bi=0&bx=off&ds=30&recentlyadded=all&sortby=17&sts=t&vci=52198635&tn=Michael Wm. Kaluta Mage Portfolio: Images of Ascension"
"http://www.biblio.com/search.php?author=&dealer_id=438829&title=*Signed* Robert Rauschenberg : A Retrospective ~1st"
"http://stores.ebay.com/A-Castle-of-BOOKS/_i.html?_nkw=*Signed* Robert Rauschenberg : A Retrospective ~1st"
"http://www.abebooks.com/servlet/SearchResults?bi=0&bx=off&ds=30&recentlyadded=all&sortby=17&sts=t&vci=52198635&tn=*Signed* Robert Rauschenberg : A Retrospective ~1st"
"http://www.biblio.com/search.php?author=&dealer_id=438829&title=Lemax Spooky Town Village Collection Dead Man's Point Table Piece #73638"
"http://stores.ebay.com/A-Castle-of-BOOKS/_i.html?_nkw=Lemax Spooky Town Village Collection Dead Man's Point Table Piece #73638"
"http://www.abebooks.com/servlet/SearchResults?bi=0&bx=off&ds=30&recentlyadded=all&sortby=17&sts=t&vci=52198635&tn=Lemax Spooky Town Village Collection Dead Man's Point Table Piece #73638"
Shelved several almost complete sets of "My Book House". Shelved a stack of Spider-man, Batman, Hulk, Teen Titans, and Justice League comic books. Born on this day: 1936 – A. S. Byatt, 1947 – Paulo Coelho, 1948 – Alexander McCall Smith, 1951 – Orson Scott Card. 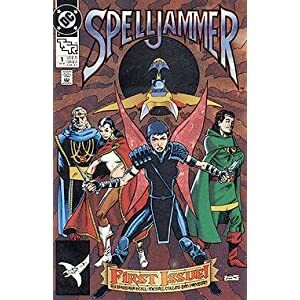 "http://www.biblio.com/search.php?author=&dealer_id=438829&title=*Signed* Shadow of the Hegemon ~1st (Ender Wiggin Saga)"
"http://stores.ebay.com/A-Castle-of-BOOKS/_i.html?_nkw=*Signed* Shadow of the Hegemon ~1st (Ender Wiggin Saga)"
"http://www.abebooks.com/servlet/SearchResults?bi=0&bx=off&ds=30&recentlyadded=all&sortby=17&sts=t&vci=52198635&tn=*Signed* Shadow of the Hegemon ~1st (Ender Wiggin Saga)"
"http://www.biblio.com/search.php?author=&dealer_id=438829&title=*Signed* The Way of Kings (Stormlight Archive)"
"http://stores.ebay.com/A-Castle-of-BOOKS/_i.html?_nkw=*Signed* The Way of Kings (Stormlight Archive)"
"http://www.abebooks.com/servlet/SearchResults?bi=0&bx=off&ds=30&recentlyadded=all&sortby=17&sts=t&vci=52198635&tn=*Signed* The Way of Kings (Stormlight Archive)"
"http://www.biblio.com/search.php?author=&dealer_id=438829&title=*Signed* The Memory of Earth (Homecoming, Volume 1) ~1st"
"http://stores.ebay.com/A-Castle-of-BOOKS/_i.html?_nkw=*Signed* The Memory of Earth (Homecoming, Volume 1) ~1st"
"http://www.abebooks.com/servlet/SearchResults?bi=0&bx=off&ds=30&recentlyadded=all&sortby=17&sts=t&vci=52198635&tn=*Signed* The Memory of Earth (Homecoming, Volume 1) ~1st"
Shelved several boxes of hardcover & softcover books, lots of non-fiction in many subjects, a stack of hardcover fiction, and several boxes of pocketbooks, as well as some comics, and roleplaying games. Born on this day: 1943 – Nelson DeMille. 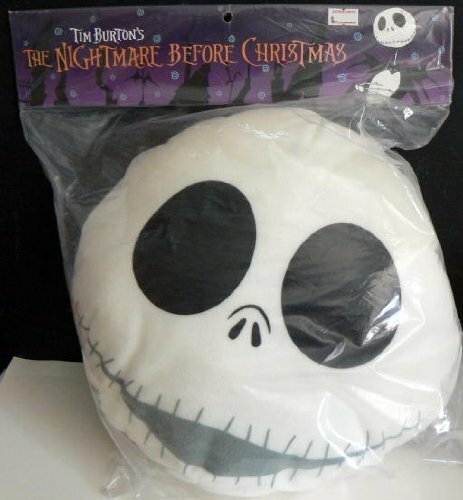 "http://www.biblio.com/search.php?author=&dealer_id=438829&title=Nightmare Before Christmas ~ Reversible CUSHION"
"http://stores.ebay.com/A-Castle-of-BOOKS/_i.html?_nkw=Nightmare Before Christmas ~ Reversible CUSHION"
"http://www.abebooks.com/servlet/SearchResults?bi=0&bx=off&ds=30&recentlyadded=all&sortby=17&sts=t&vci=52198635&tn=Nightmare Before Christmas ~ Reversible CUSHION"
Born on this day: 1893 – Dorothy Parker. 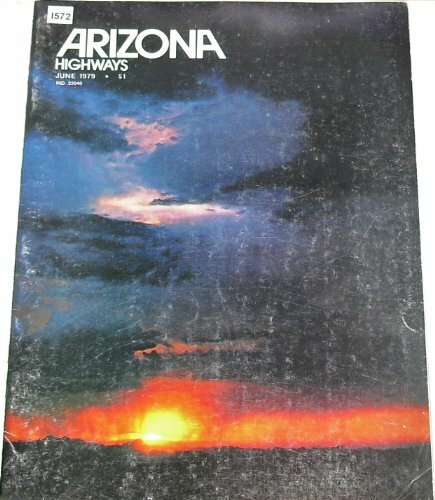 "http://www.biblio.com/search.php?author=&dealer_id=438829&title=Arizona Highways Magazine, June 1979"
"http://stores.ebay.com/A-Castle-of-BOOKS/_i.html?_nkw=Arizona Highways Magazine, June 1979"
"http://www.abebooks.com/servlet/SearchResults?bi=0&bx=off&ds=30&recentlyadded=all&sortby=17&sts=t&vci=52198635&tn=Arizona Highways Magazine, June 1979"
"http://www.biblio.com/search.php?author=&dealer_id=438829&title=Remington Arms in American History"
"http://stores.ebay.com/A-Castle-of-BOOKS/_i.html?_nkw=Remington Arms in American History"
"http://www.abebooks.com/servlet/SearchResults?bi=0&bx=off&ds=30&recentlyadded=all&sortby=17&sts=t&vci=52198635&tn=Remington Arms in American History"
Shelved a lots of Spider-Man, some Batman & other comics, along with several stack of non-fiction hardcover & several boxes of fiction pocket books. 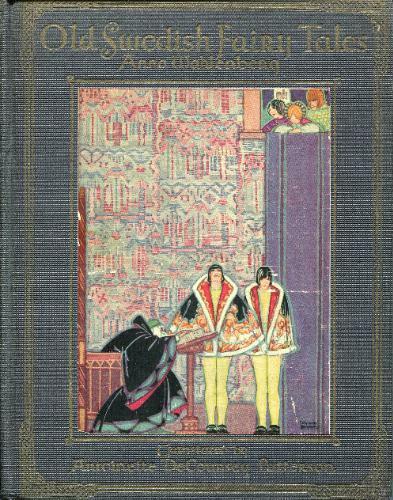 Born on this day: 1872 – Aubrey Beardsley, 1908 – M. M. Kaye. 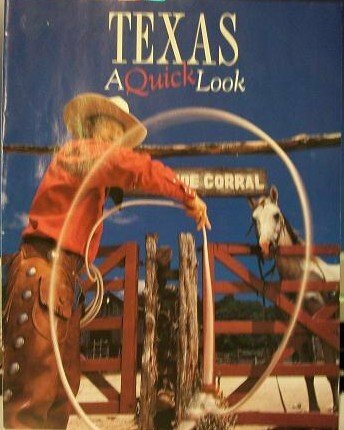 "http://www.biblio.com/search.php?author=&dealer_id=438829&title=TEXAS A quick look (June)"
"http://stores.ebay.com/A-Castle-of-BOOKS/_i.html?_nkw=TEXAS A quick look (June)"
"http://www.abebooks.com/servlet/SearchResults?bi=0&bx=off&ds=30&recentlyadded=all&sortby=17&sts=t&vci=52198635&tn=TEXAS A quick look (June)"
"http://www.biblio.com/search.php?author=&dealer_id=438829&title=Brooms, Baskets and Fans Decorated with Silk Flowers, Dried Foliage and Ribbons"
"http://stores.ebay.com/A-Castle-of-BOOKS/_i.html?_nkw=Brooms, Baskets and Fans Decorated with Silk Flowers, Dried Foliage and Ribbons"
"http://www.abebooks.com/servlet/SearchResults?bi=0&bx=off&ds=30&recentlyadded=all&sortby=17&sts=t&vci=52198635&tn=Brooms, Baskets and Fans Decorated with Silk Flowers, Dried Foliage and Ribbons"
Shelved some Batman & Spider-man comic books. 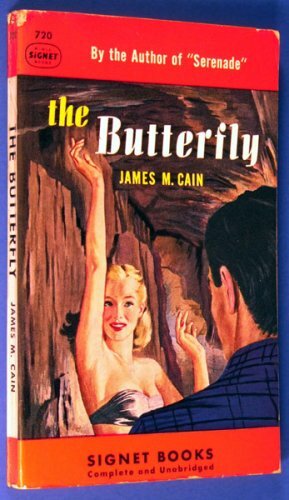 Born on this day: 1918 – Jacqueline Susann, 1951 – Greg Bear, 1961 – Greg Egan. Elmore Leonard passed away today. 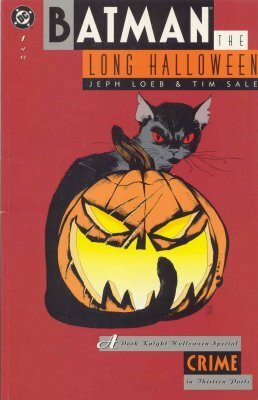 "http://www.biblio.com/search.php?author=&dealer_id=438829&title=*Signed2x* Batman: The Long Halloween #1-11"
"http://stores.ebay.com/A-Castle-of-BOOKS/_i.html?_nkw=*Signed2x* Batman: The Long Halloween #1-11"
"http://www.abebooks.com/servlet/SearchResults?bi=0&bx=off&ds=30&recentlyadded=all&sortby=17&sts=t&vci=52198635&tn=*Signed2x* Batman: The Long Halloween #1-11"
"http://www.biblio.com/search.php?author=&dealer_id=438829&title=Stranger In A Strange Land (Special Limited Edition)"
"http://stores.ebay.com/A-Castle-of-BOOKS/_i.html?_nkw=Stranger In A Strange Land (Special Limited Edition)"
"http://www.abebooks.com/servlet/SearchResults?bi=0&bx=off&ds=30&recentlyadded=all&sortby=17&sts=t&vci=52198635&tn=Stranger In A Strange Land (Special Limited Edition)"
"http://www.biblio.com/search.php?author=&dealer_id=438829&title=*Signed* JSA Classified #10, 11, 12 & 13"
"http://stores.ebay.com/A-Castle-of-BOOKS/_i.html?_nkw=*Signed* JSA Classified #10, 11, 12 & 13"
"http://www.abebooks.com/servlet/SearchResults?bi=0&bx=off&ds=30&recentlyadded=all&sortby=17&sts=t&vci=52198635&tn=*Signed* JSA Classified #10, 11, 12 & 13"
Shelved some CDs, DVDs, and Comic books. Born on this day: 1930 – Frank McCourt, 1944 – Jack Canfield. 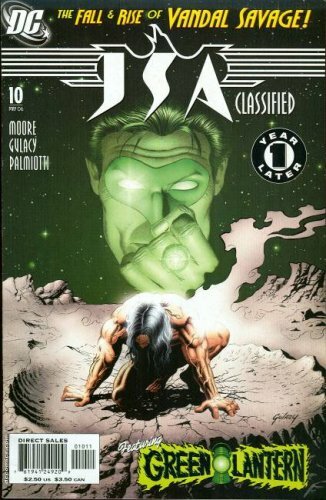 "http://www.biblio.com/search.php?author=&dealer_id=438829&title=*Signed* Star Wars #8 Eight Against a World! 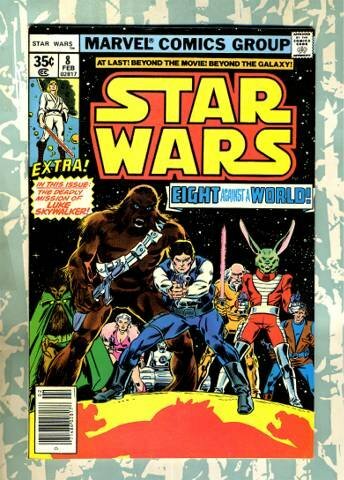 (The Greatest Space-Fantasy of All) NM"
"http://stores.ebay.com/A-Castle-of-BOOKS/_i.html?_nkw=*Signed* Star Wars #8 Eight Against a World! (The Greatest Space-Fantasy of All) NM"
"http://www.abebooks.com/servlet/SearchResults?bi=0&bx=off&ds=30&recentlyadded=all&sortby=17&sts=t&vci=52198635&tn=*Signed* Star Wars #8 Eight Against a World! 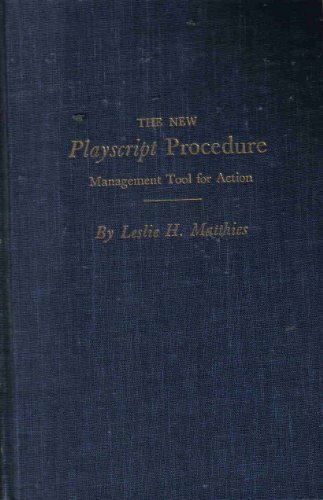 (The Greatest Space-Fantasy of All) NM"
"http://www.biblio.com/search.php?author=&dealer_id=438829&title=New Playscript Procedure: Management Tool for Action"
"http://stores.ebay.com/A-Castle-of-BOOKS/_i.html?_nkw=New Playscript Procedure: Management Tool for Action"
"http://www.abebooks.com/servlet/SearchResults?bi=0&bx=off&ds=30&recentlyadded=all&sortby=17&sts=t&vci=52198635&tn=New Playscript Procedure: Management Tool for Action"
Purchased a dozen boxes of Books, lots of pocketbooks, with some CDs, and DVDs. 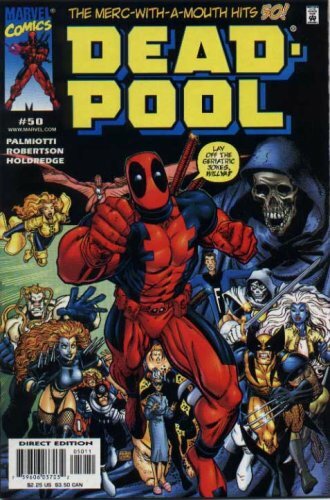 Born on this day: 1850 – Honoré de Balzac, 1925 – Brian Aldiss, 1925 – Brian Aldiss, 1945 – Paula Danziger, 1967 – Brian Michael Bendis. 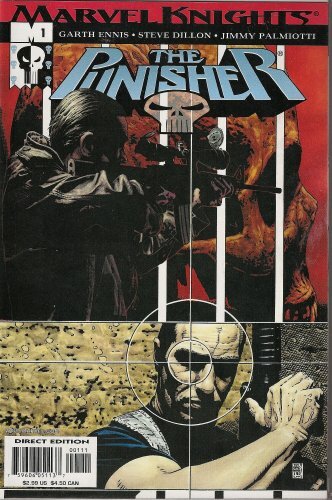 "http://www.biblio.com/search.php?author=&dealer_id=438829&title=*Signed 2x* Punisher #9 (Volume 3)"
"http://stores.ebay.com/A-Castle-of-BOOKS/_i.html?_nkw=*Signed 2x* Punisher #9 (Volume 3)"
"http://www.abebooks.com/servlet/SearchResults?bi=0&bx=off&ds=30&recentlyadded=all&sortby=17&sts=t&vci=52198635&tn=*Signed 2x* Punisher #9 (Volume 3)"
"http://www.biblio.com/search.php?author=&dealer_id=438829&title=*Signed* The Punisher #1-37 (Marvel Knights, Vol. 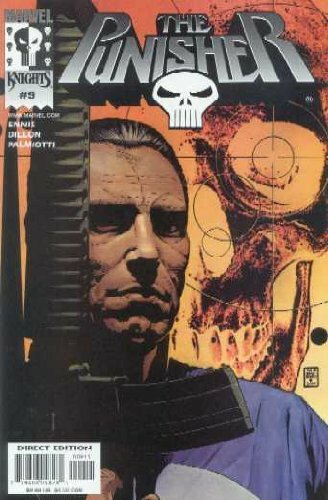 4, Complet Run 2001-2004)"
"http://stores.ebay.com/A-Castle-of-BOOKS/_i.html?_nkw=*Signed* The Punisher #1-37 (Marvel Knights, Vol. 4, Complet Run 2001-2004)"
"http://www.abebooks.com/servlet/SearchResults?bi=0&bx=off&ds=30&recentlyadded=all&sortby=17&sts=t&vci=52198635&tn=*Signed* The Punisher #1-37 (Marvel Knights, Vol. 4, Complet Run 2001-2004)"
Shelved some Vintage Doctor Who miniatures & models, and some 2nd Edition D&D books. Born on this day: 1863 – Gene Stratton-Porter, 1959 – Jonathan Franzen, 1932 – V. S. Naipaul. 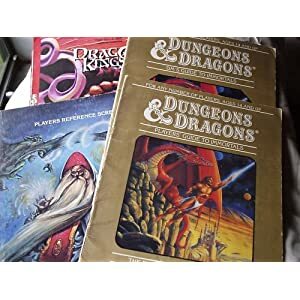 "http://www.biblio.com/search.php?author=&dealer_id=438829&title=Dungeons and Dragons : Player's Guide to Immortals"
"http://stores.ebay.com/A-Castle-of-BOOKS/_i.html?_nkw=Dungeons and Dragons : Player's Guide to Immortals"
"http://www.abebooks.com/servlet/SearchResults?bi=0&bx=off&ds=30&recentlyadded=all&sortby=17&sts=t&vci=52198635&tn=Dungeons and Dragons : Player's Guide to Immortals"
"http://www.biblio.com/search.php?author=&dealer_id=438829&title=The Poetical Works of Alexander Pope. With Life (Six Engravings in Steel)"
"http://stores.ebay.com/A-Castle-of-BOOKS/_i.html?_nkw=The Poetical Works of Alexander Pope. 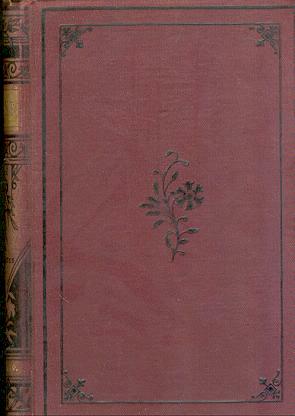 With Life (Six Engravings in Steel)"
"http://www.abebooks.com/servlet/SearchResults?bi=0&bx=off&ds=30&recentlyadded=all&sortby=17&sts=t&vci=52198635&tn=The Poetical Works of Alexander Pope. With Life (Six Engravings in Steel)"
Purchased some more, role playing game books. Priced 2 boxes of Westerns pocket books, not enough room to shelve them yet, so they're just stacked by the Western section to dig through for now. Born on this day: 1949 – Margaret Mitchell, 1934 – Diana Wynne Jones, 1884 – Hugo Gernsback, 1888 – T. E. Lawrence, 1902 – Georgette Heyer. 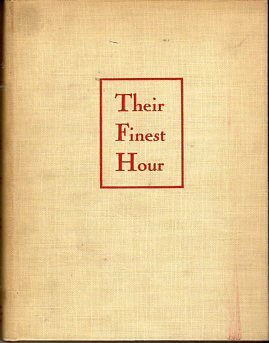 "http://www.biblio.com/search.php?author=&dealer_id=438829&title=Their finest hour,: First-hand narratives of the war in England,"
"http://stores.ebay.com/A-Castle-of-BOOKS/_i.html?_nkw=Their finest hour,: First-hand narratives of the war in England,"
"http://www.abebooks.com/servlet/SearchResults?bi=0&bx=off&ds=30&recentlyadded=all&sortby=17&sts=t&vci=52198635&tn=Their finest hour,: First-hand narratives of the war in England,"